Yesterday, we had all the makings of a classic Google Update Wednesday. In the morning, we first saw a rather significant update to Google Camera to version 2.2, which brought us 16:9 capture, self-timer support, and two new panorama modes (fish-eye and wide-angle). Just a few hours ago, Google also managed to update its maps app to version 8.1.0 from the previous 8.0.0, and with it comes one big new feature that we haven’t seen in the Google Maps for Android app ever since the update to version 7 back in the middle of last year. 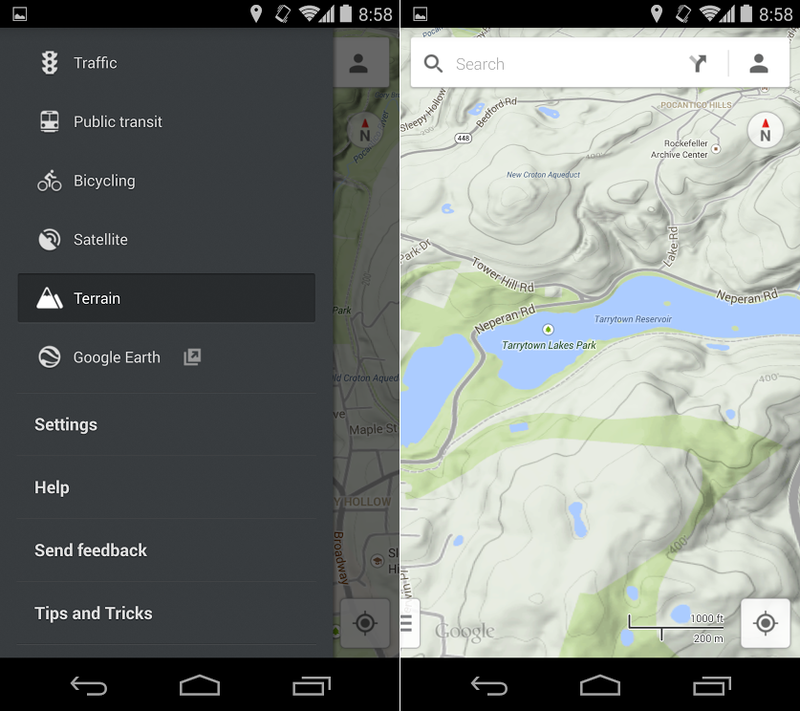 For the most part, Google Maps 8.1.0 looks and feels just like the previously released 8.0.0 that we first saw back in early May. We still have the same interface, and for the most part the same features. But in addition to the previous versions arsenal, we now have terrain view. For the uninitiated, terrain view displays the 3D elevation of various geographic features such as mountains and canyons. This becomes essential when performing various activities outdoors such as biking, hiking, or trail walking. Are you a fan of the newly restored terrain view, or is this just another piece of application “bloat” that you’ll never use? Will terrain view encourage you to get off your derriere and enjoy the great outdoors? Yeah, it didn't work for me either. Let us know your thoughts in the comments below!